Join the MichBusiness community as a Pathfinder. It’s free and offers a variety of resources to help you and your business! Post any want, need or message to our peer-to-peer exchange board for the entire community to see. Your posts will be shared online via our social channels and database to broaden exposure and generate results. Includes networking opportunities, a fabulous speaker series, inspiring conferences, awards, and more. Our events are engineered to help you explore, connect and thrive in your professional pursuits. Pathfinders are invited to take advantage of a variety of discounts offered through our MichBusiness community partners. Offering Pathfinders and Trailblazers the opportunity to become a MichBusiness Champion, providing exposure and influence to tens of thousands business professional statewide! 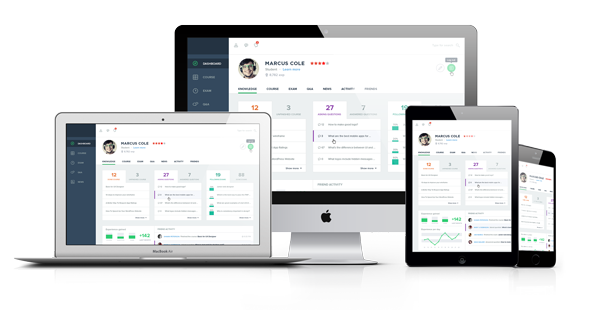 You now have hundreds of business experts literally at your fingertips. Let the knowledge of our community help you thrive in your adventure in business! Share anything worth bragging about. Hit a corporate goal? Hired a rock star? Launched a new product? Promote it by using #michbusiness wherever you are social online. Join our network of companies and business leaders who recognize the value of tapping into all of the MichBusiness community resources, including access to trusted advisors and peer group meetings. Annual fees are based on level of engagement and size of company. Trailblazers qualify for an extensive variety of discounts offered through our MichBusiness partners. These benefits include business supply discounts, benefit discounts, savings on merchant processing and more. Exclusive content regarding the Affordable Care Act and how it affects your company. Trailblazers stay up to date with the ever-changing rules and regulations surrounding the ACA. All Trailblazers are eligible for member-rate event and custom document pricing! Our team of COBRA experts is ready to assist your company in providing employees with this invaluable benefit. A member of our team will contact you with pricing information. Use and follow the #michbusiness hashtag wherever you’re social online!